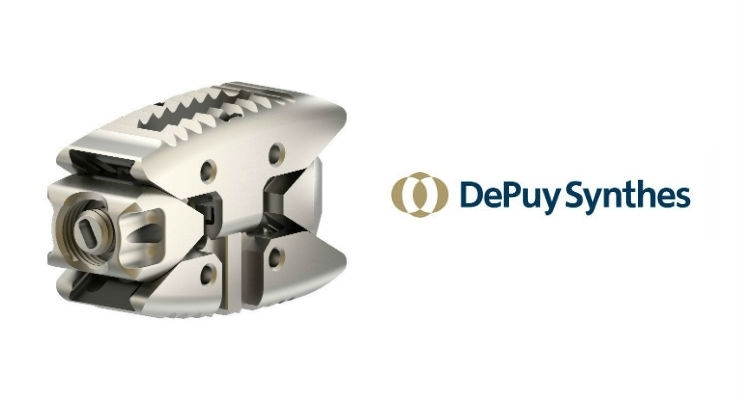 DePuy Synthes has recently announced the launch of their new implantable device designed to treat patients suffering from degenerative disc disease, the CONCORDE LIFT Interbody Implant. DePuy Synthes predicts that 50% of all spinal fusion procedures will be performed via a minimally invasive approach by 2020. The volume of spinal fusion procedures continues to grow, and more and more patients are opting for minimally invasive options which offer reduced recovery times and chances of complications. More on the minimally invasive spinal implant market in the US can be found in a series of reports published by iData Research entitled the US Market Report Suite for Minimally Invasive Spinal Implants. The full report suite on the US market for minimally invasive spinal implants includes segments for MIS interbody devices, MIS pedicle screws, spinous process fixation, facet fixation, MIS sacroiliac joint fusion, spine endoscope, and MIS spine instrumentation. The iData report series on MIS spinal implants covers the U.S., Latin America (Brazil, Mexico, Argentina), and 15 countries in Europe including Germany, France, the United Kingdom (U.K.), Italy, Spain, Benelux (Belgium, Netherlands and Luxembourg), Scandinavia (Finland, Denmark, Sweden and Norway), Portugal, Austria and Switzerland. Reports provide a comprehensive analysis including units sold, market value, forecasts, as well as detailed competitive market shares and analysis of major players’ success strategies in each market and segment. To find out more about MIS implant market data, register online or email us at [email protected] for a US Market Report Suite for Minimally Invasive Spinal Implants brochure and synopsis.